Black / Asian / BAME / POC? Take up space with us. 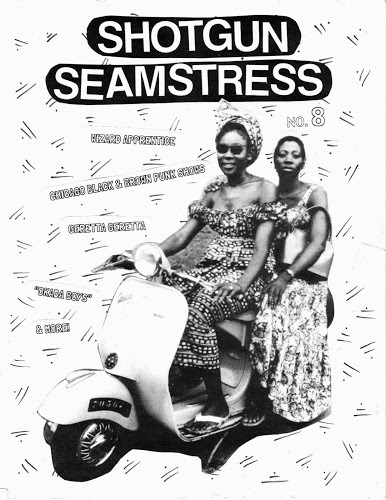 One of my favourite zines of all time is Shotgun Seamstress. Shotgun Seamstress was started in 2009 by then member of the band New Bloods and now amazing potter, Osa Atoe. 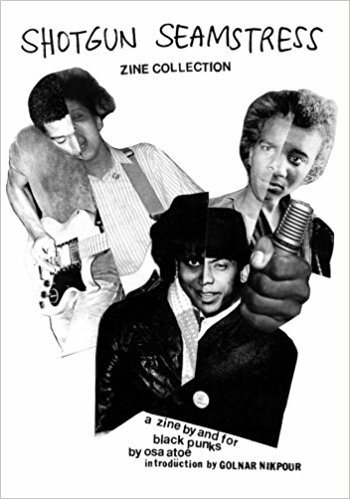 It is a fanzine by, for and about black punks. Issue 1-6 were compiled into a book in 2012 and since then Osa has made 2 and half more Shotgun Seamstresses. 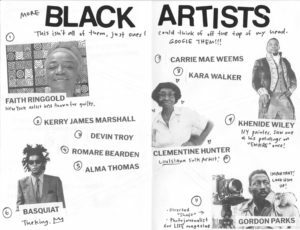 It’s much more than a zine about black punks (although that in itself is pretty amazing) it’s a zine all about how being black is punk and how black people need DIY culture, it’s a call to arms and a reminder of how great every black, queer, feminist, misfit, artist, weirdo really is. It’s about taking up space within subcultures that are infiltrated by white people (punk and the world of zines) but also taking up space in doing things that aren’t ‘meant’ for black people like playing punk and creating art. Each issue is packed full of interviews, reviews, personal stories and hidden gems of black punks, queers and artists such as Brontez Purnell, The Gories, Poly Styrene, Ru Paul, Trash Kit, Vaginal Crème Davis, ESG, Marsha P Johnson, Former band mate Adee Roberson and many more. 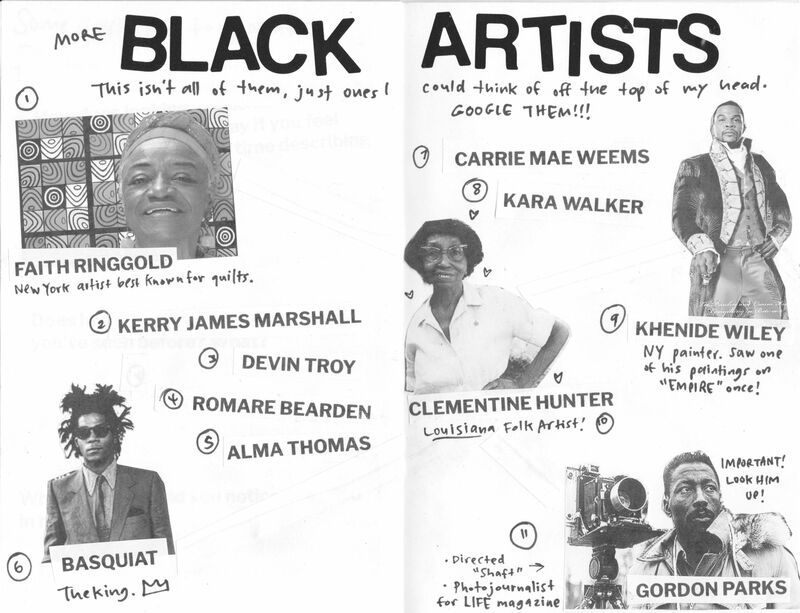 This was the zine that inspired me to make my zine series Brown Girl. I wanted to write about being a punk of colour, I wanted to take up space and I wanted to talk about the things I love. I urge anyone to read Shotgun Seamstress, buy the book, find a zine, read back issues online just immerse yourself in black DIY culture.